If you’ve ever looked up at the heavens and wondered what’s out there, you’re not alone, and every day, thousands of amateur astronomers grab their telescope and aim it towards the open sky. The universe is a big place, and there is never a shortage of neat things to see. Despite the fact that it’s only a mere blip on the cosmic scale, the Milky Way galaxy contains over 100 billion stars, and with the help of a telescope, you can uncover the tiny details and see what the naked eye cannot. The best telescopes are great for scoping out massive stars, but they’re just as useful for looking at planets, and with a high-quality lens, you can get a clear view of almost every planet in the solar system. The only problem is that astronomy can be quite complex, and if you don’t know how to find the best telescope for your needs, there is a good chance that you’ll end up with a lackluster experience. Below I have outlined what I consider to be the best retail level telescopes on the market today. 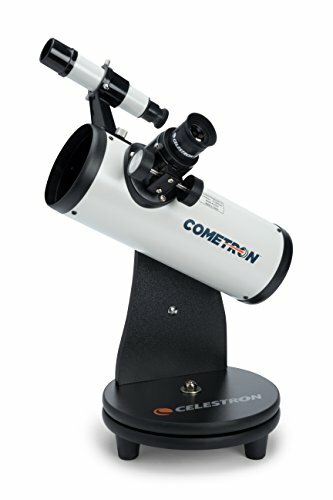 The Celestron 21023 Cometron FirstScope is a popular choice for beginners, and with a wide field of view, it’s commonly used to observe galaxies, star clusters and comets. It features a lightweight, portable design, and since it’s easy to use, it’s a top pick for beginner astronomers. The Celestron 21023 can be set up without tools, and it comes with two Kellner eyepieces. An additional selling point for this telescope is the included finder scope, which is a great accessory for beginners. This telescope is designed with a 76mm aperture, and it features a Dobsonian style. 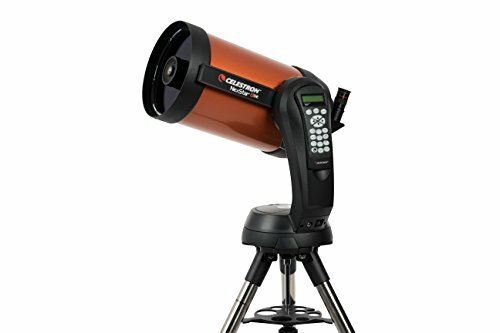 The Celestron 21023 is an upgraded version of the original FirstScope, and with a weight of only four pounds, it can be transported and used almost anywhere. The only downside is that it’s not as sturdy as it could be, and if you’re not careful, you could accidently break it. The SVBONY 70mm refractor telescope is another top pick for beginners, and despite the fact that it’s great for children, the 70mm aperture offers a decent amount of viewing power. With a 2.4-inch aperture, you could classify this product as a small telescope, and it boasts a 300mm focal length. The SVBONY astronomical telescope can be used to observe the moon, stars and planets, and for increased magnification, it comes with several eyepieces. The highest Barlow lens delivers 150x magnification, and the eyepieces are designed for comfort. 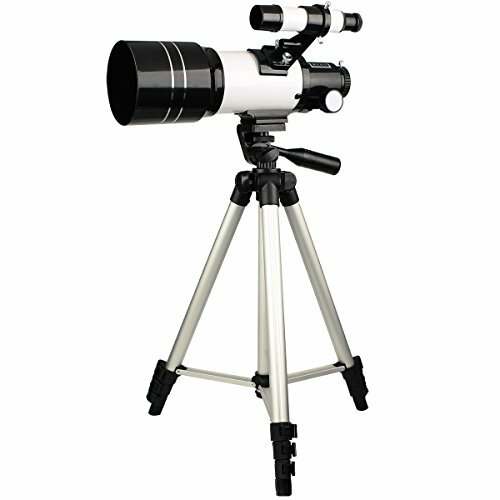 This refractor telescope is suitable for entry-level astronomers and comes with three eyepieces. The complete package includes an aluminum tripod, optical tube and assembly instructions, which is everything you need to get started immediately. Once the tripod has been set up, you can attach the lens tube and start aiming towards the open sky. Since this is a refractor telescope, it can also be used to observe objects on Earth. The AW 70mm telescope uses a refractor optics system, and for easier viewing, it comes with two comfortable eyepieces. It features an aluminum tripod, which is designed for better balance, and the tripod can be raised up to 50 inches. The AW 70mm refractor telescope is compact, lightweight and small, and with such a small design, it’s easy to transport and store away. This telescope is a popular choice for entry-level astronomers, and it’s made with a 70mm aperture. Another selling point for this product is the 5×24 finder scope because it makes finding tiny objects much easier. The AW 70mm telescope is a complete package, and it comes with a manual, tripod, aiming platform, eyepiece, finder scope and optics tube. The price is very affordable, and it gives amateur astronomers the ability to test the hobby and see if it’s something they’re interested in pursuing. 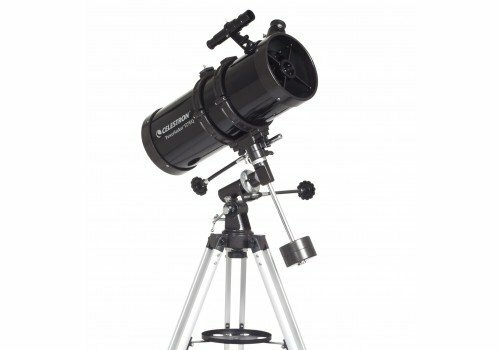 Here we have another product from Celestron, and it’s the popular ExploraScope 114AZ. This is a classic Newtonian reflector telescope, and it has been redesigned with a new mount and fresh look. For smooth, precise control, it features a new altitude slow motion rod, and the rod significantly increases pointing accuracy. 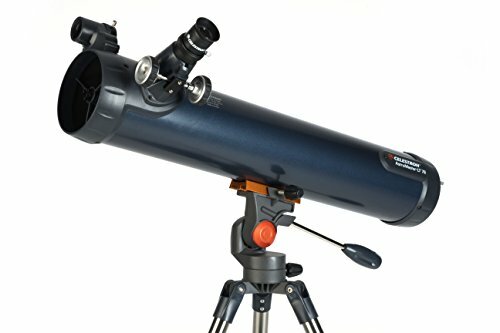 This telescope comes with a StarPointer finder scope, which helps beginner astronomers navigate the night sky with a red dot. The Celestron ExploraScope 114AZ works great at night, but it’s just as useful for daytime terrestrial observing. This telescope is engineered for the beginner and works well for observing the moon, stars and planets. The red dot finder scope makes it easy to sight objects, and the altitude rod allows for precise pointing. The Celestron ExploraScope 114AZ comes with everything an amateur astronomer would need to get started. The Celestron 127EQ PowerSeeker is another top choice for entry-level astronomers, and it features a 127mm aperture. This product comes with a 3x Barlow lens and has a 1,000mm focal length. Since it’s a complete package, it comes with an aluminum tripod and accessory tray. The Celestron 127EQ PowerSeeker opens up the wonders of the solar system, and it’s a top pick for aspiring astronomers. The simple design is friendly for all ages and delivers a potent combination of power, features and value. Amateur astronomy can be enjoyed by the whole family, and the Celestron 127EQ can turn a boring night into an unforgettable experience. This product comes with TheSkyX astronomy software, and the optical lens is covered in a high-transmission coating. Like other Celestron telescopes, the PowerSeeker is compatible with a variety of accessories, and the package includes everything you need to get started. The Orion 09007 SpaceProbe 130ST is a reflector telescope, and with a 5.1-inch aperture, it can deliver high-quality images of distant stars and galaxies. The large mirror within the optics tube gathers a decent amount of light and sends it to the eyepiece. The large aperture increases the brightness of distant star clusters, nebulas and galaxies, and the 24-inch optical tube is small and compact. With such a short tube, this telescope is easy to transport, and for wide-field performance, it’s equipped with an f/5 focal ratio. The Orion 09007 SpaceProbe 130ST is something that the whole family can enjoy, and it comes with everything you need to get started with amateur astronomy. A pair of 1.25-inch Sirius Plossl eyepieces make it easier to see the tiniest details, and unlike some alternative options, Plossl eyepieces are very comfortable and easy on the eyes. The only real downside is the price, which is significantly higher than many other entry-level telescopes. If you’re on a tight budget and looking for something affordable, consider the Celestron 21024 FirstScope telescope. This product is another great choice for beginners and comes with a 76mm reflector aperture. For easier viewing, the optical tube can be moved around and features a portable, lightweight design. The Celestron 21024 comes with two eyepieces, and it was inspired by Galileo. The main reason why this product is great for beginners is because it’s a simple Newtonian reflector scope. The optical tube sits on a rotating tabletop stand and allows you to observe objects in the night sky. A major advantage of the Celestron 21024 is the 76mm primary mirror, which you’d have trouble finding for such a low price. However, since it’s a cheaper scope, it doesn’t come with many of the features that you’d get from an expensive alternative. Even if you purchase this telescope and never use it, the exterior is stylish enough to serve as a beautiful tabletop decoration. Many of the best telescopes are made by Celestron, and the AstroMaster LT 76AZ is a great example. As another entry-level scope, this product features a simple design and requires no tools to set up. For convenience, it has a StarPointer, which is permanently mounted to the optical tube. A quick-release dovetail attachment makes positioning this telescope easy, and the convenient pan handle allows for quick and accurate pointing. 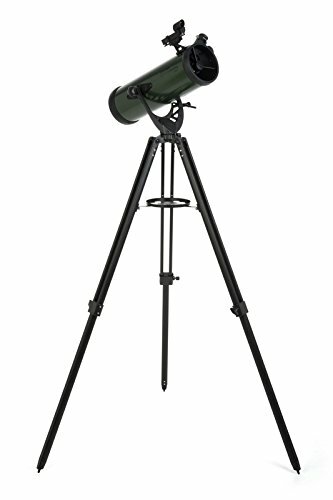 The Celestron 31036 AstroMaster LT 76AZ comes with a pre-assembled tripod, and the steel tube legs serve as a sturdy foundation for countless hours of observation. A major selling point for this product is the portability, and the compact design makes transporting this scope quick and easy. 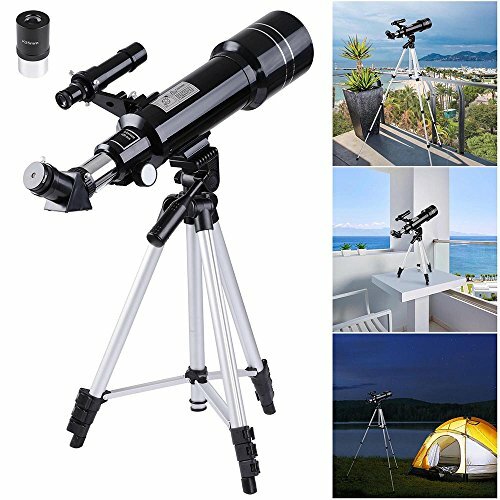 If you try hard enough, you can find some shortcomings for this product, but for the price, it’s one of the best beginner telescopes available. Here we have another popular telescope from Celestron, and the NexStar 8 SE is designed for consumers who have plenty of money to spend. With such a long list of features, this telescope leaves no stone unturned, and it’s one of the best products for beginner, intermediate and advanced astronomers. This Schmidt-Cassegrain telescope features an eight-inch aperture, and it has a StarPointer finder scope attached to the optical tube. The Celestron NexStar 8 SE comes with a SkyAlign feature and makes it easy to align the scope with three bright celestial objects. The included database comes with 40,000 objects, and you can define up to 200 objects of your own. A major selling point for this telescope is the optical system, and it allows you to get bright, crisp images of distant objects. One of the only downsides is the short battery life, and despite the price, this isn’t a good telescope for astrophotography. The Meade Instruments Infinity 102mm AZ telescope is a mid-range product, and with a four-inch aperture, it can deliver a high-quality image. This telescope has a focal length of 600mm, and the focal ratio is f/5.9. The package includes low, medium and high eyepieces, which provide multiple levels of magnification. If you want to double the magnification of any eyepiece, you can add the 2x Barlow lens. For convenience, this telescope comes with an instructional DVD and software. The Meade Instruments Infinity 102mm telescope isn’t the best that money can buy, but it might be a suitable choice for many entry-level astronomers. When shopping for a high-quality telescope, you’ll find three major styles, and to find the perfect telescope for your needs, you need to understand the differences. The first type of telescope using a refractor mechanism, and it features a shape that most people are familiar with. 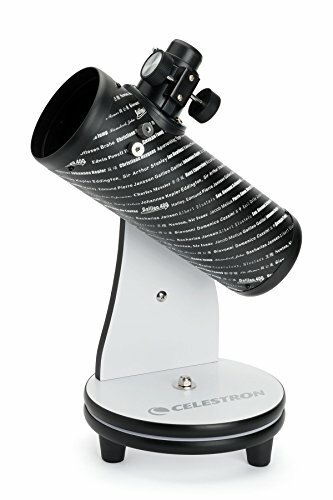 The front of this product has a large lens, and as the lens collects light, it beams it into the mirror that is positioned in the back of the telescope. Reflector telescopes operate differently than their refractor counterparts, and they have a mirror built into the end of the tube. The purpose of the mirror is to gather light, which is sent to another mirror before it hits the eyepiece. We recommend reflector telescopes for viewing faint objects, and they offer images of a higher quality than refractor telescopes. The third major style is the compound telescope, and it’s also known as a catadioptric telescope. Unlike the other styles, this telescope features two mirror, which are located in the front and back. The two mirrors work together with the lens to produce a high-quality image. With three different styles to choose from, many consumers aren’t sure how to pick the best telescope for their individual needs. If you’re just getting started with this hobby, then you can get a reflector or refractor telescope. For consumers who want to avoid maintenance, a refractor telescope is a great choice to consider. Refractor and compound scopes are great for observing birds and similar Earth objects, and to view faint objects in the deep sky, compound and reflector telescopes are best. For astrophotography, a compound scope is a great choice, and if you just want to get the most value for your money, we recommend reflector scopes. The process of finding a great telescope to buy should be fun, and to get the best value, you need to understand the basics. The first major component is the aperture, and it represents the diameter of the lens or mirror in the scope. To find out exactly how much you’ll be able to see with the telescope, this factor is more important than all other features. In almost every situation, a bigger aperture is better. A telescope with a huge aperture allows more total light to flood into the eyepiece, and with more light, you’ll get better image quality for faint objects. If you’re on a budget, you should always try to get the biggest aperture that you can afford because it will make a huge difference in image quality. Another basic feature is the focal length, and it represents the total distance from your telescope’s focal point to the mirror or lens. The focal length isn’t nearly as important as the aperture, but it’s important enough to be considered. With a bigger focal length, objects will look much bigger than they would with a smaller length. It’s always best to look for products that have a big focal length and aperture, but if you have to choose between these two features, pick the scope with the bigger aperture. All telescopes are capable of magnifying the objects in the night sky, and the level of magnification that you’ll have is determined by the focal length and eyepiece. Some people say that more magnification is better, and many cheaper telescopes emphasize the scope’s magnification. However, if you can’t get a clear image, a high level of magnification is almost useless. Not too long ago, all telescopes required manual operation, and there was no way to automatically set them for specific constellations of stars. Today, you can find a variety of electronic scopes, and with the help of a built-in computer, these telescopes can automatically find certain objects in the night sky. The average person doesn’t need this feature, but if you’d like to get into astrophotography or need a way to follow moving objects, then an electronic telescope is worth considering. The decision to purchase a telescope is huge, and if you choose the right product, it can completely change your life and how you view life on Earth. The ability to see deep into the cosmos has a profound effect on most people, and fortunately, it’s much easier to do than you might think. It’s one thing to see the planets in our solar system on a piece of paper or through a computer animation, but once you’ve seen the planets through the eyepiece of a high-quality telescope, you’ll gain so much more appreciation for the night sky. Once you’ve had this experience, there is a good chance that you’ll want to dive even deeper into the majestic wonders of the universe and never put the telescope down. Before you find a product to purchase, you should know how it works. The main purpose of all types of telescopes is to collect light, and each type of scope collects light in a different way than the rest. When you look up at the moon with your naked eyes, you’ll see a large white sphere, but you won’t be able to decipher any of the finer details. By collecting light, telescopes allow you to unlock the finer details of objects in the night sky, and Galileo said it best when he chose to describe telescopes as tools for revealing the invisible. When it comes to gathering light, bigger is almost always better, and a four-inch mirror is four times better at gathering light than a two-inch mirror. It’s best to purchase the telescope with the biggest aperture that you can afford because larger scopes gather more light. With more light, you’ll get a higher image quality, and it will be much easier to see faint objects. 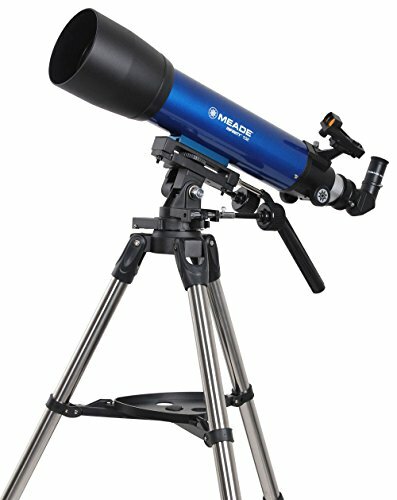 Do I Need Extra Items for My Telescope? After purchasing their first telescope, many beginners want to know if they need to purchase additional items to make it work. Fortunately, most modern telescopes are sold as complete systems, which is why they don’t require extra items or purchases. Once your new telescope has been removed from the packaging and set up with the included components, it should be ready to aim at the sky. However, there are some high-end optics that are sold without a tripod, mount and accessories. If you decide to purchase a refractor telescope, you might want to consider buying a star diagonal with it because it will help to bend the light from your target object, which makes it easier to see certain things in the sky. When shopping for telescopes, you’ll find three major styles, and the third style is a combination of the first two. All types of scopes use mirrors or lenses, and compound scopes use a combination of mirrors and lenses. The refractor style allows you to gaze into the heavens with lenses, and although most refractor telescopes use at least two lenses, some have as many as four. Reflector telescopes use mirrors to gather and focus light onto an eyepiece, and out of the many different reflector styles available, the type that is most common is the Newtonian reflector. Catadioptric or compound scopes use a combination of mirrors and lenses, and the two popular designs are Maksutov-Cassegrain and Schmidt-Cassegrain designs. The market is filled with telescopes of different sizes, which can make it difficult to know what size is best for your needs. When someone refers to the size of a scope, they’re usually talking about the size of the aperture, and any telescope with a four-inch aperture could be called a small scope. Medium telescopes tend to have an aperture between four to 10 inches, and they’re great products for beginner astronomers. One of the best medium scopes on the market is the Schmidt-Cassegrain, and it’s available for an affordable price. A large telescope is any product that has a 10-inch aperture, and since people have become much more interested in space and astronomy, large telescopes are more popular than they’ve ever been. After purchasing a new telescope and using it for the first time, a lot of people completely overlook eyepieces, which are important pieces of equipment. Some of the worst eyepieces are tiny pieces of glass, and with such a tiny size, they’re extremely difficult to look through. A low-quality eyepiece will have you constantly squinting, and you still might not be able to see the object you’re looking for. When shopping for eyepieces, you have many options to choose from, and the best products are very comfortable to look through. Another piece of equipment that is regularly overlooked is the mount, and every telescope needs a solid foundation to support it. Many modern telescopes are sold as complete systems and come with a mount, but depending on the product, you might want to consider getting a better mount. Some consumers purchase just the optics tube and try to mount it to a standard camera tripod, and although this might seem like a good idea, many camera mounts aren’t sturdy enough for a telescope. The best mounts will allow you to swing your telescope in any direction, and once you’ve locked onto the target object, the mount will hold the optics tube perfectly still. If you have a lot of money to spend, consider buying a motorized mount. A mount with a motor is also likely to be controlled by a computer, and it will allow you to program the mount for specific objects in the sky. Many consumers purchase a new telescope and completely overlook the accessories. A finder is something that every amateur astronomer should have, and it will allow you to point your telescope at specific objects in the sky. By pressing the side of your head against your telescope, you might be able to aim it towards the moon or bright stars, but when you need to find small, faint objects in the night sky, you’ll need to use a finder. A finder is a great accessory to have, and there are three major styles to choose from. The peep sight is the simplest, and it’s great for beginners. The next best finder is the reflect sight, and it projects a tiny red laser towards the sky. The third option is like a miniature telescope, and with the help of crosshairs, it allows you to find even the faintest objects. Any telescope is an investment, and it needs to be properly cared for. One of the major aspects of care is cleaning the optics, and since you’ll always be pushing the limits of your scope, proper optics cleaning should never be overlooked. The whole point of using a scope is to see faint objects in the sky, and you’ll find it nearly impossible to accomplish this task if the optics aren’t clean. The fine details of many objects can be lost to a few particles of dust. When dust accumulates on a lens or mirror, it distorts the light and makes it harder to see planets and stars. One of the best ways to avoid this problem is to practice preventive maintenance. A telescope that isn’t being used should always be covered with a lens cap, which protects the optics from dust. If your scope doesn’t come with a protective cap, you can cover it with a homemade cap. It’s also a good idea to leave your scope pointing towards the floor because this position will prevent dust from settling onto the optics. Extra eyepieces should be stored in a plastic bag, and the lens or mirror within your telescope should never be touched. The lens is very important, and the way that you choose to clean it is also important. A brush made from camel hair is great for removing dust from a lens, and you can find many of these products in stores that sell many different types of cameras. If you ever manage to spill some sort of residue onto the lens, there are special solutions that you can use to clean it. Many popular cleaning solutions for lenses are made of pure methanol. If you own a reflector telescope and need to clean the mirror, you should be confident in your ability to disassemble and reassemble the scope. One of the best tips that we can give to beginner astronomers is to have realistic expectations. Most people have seen images of distant galaxies and star clusters, but the images were taken by the Hubble space telescope. It’s impossible to get the same quality images with a typical consumer telescope. Some of the best telescopes on the planet required millions of dollars in funding to build, and they can’t even display distant stars with as much detail as Hubble. The good news is that modern consumer telescopes have plenty to offer, but you must have realistic expectations, and you must know that the objects you’re viewing won’t look like what you’d see in space magazines. This simple tip is commonly overlooked, and it can make or break your viewing experience. When using a telescope, you should always stay clear of buildings and large objects because they release heat during the night, which makes it very difficult to see distant stars and planets. The air currents produced by heat rising off of large objects significantly reduces your telescope’s ability to see distant objects. Some of the best places to use your scope are large, open areas. Another common mistake that people make is trying to use their telescope to see through a window. For the same reasons buildings should be avoided, windows can make it very hard to see distant objects, and you’ll have an especially difficult time if there is a major temperature difference between indoor and outdoor air. If you’re forced to view through a window, you must understand that the window will become a part of your lens, and for the best results, you should always aim the telescope directly through the window. New telescope owners believe they’ll get a better image if they aim the scope through the window at an angle, and unfortunately, this isn’t true. The human eyes are incredible pieces of biological machinery, and to get the most out of your telescope, you need to give your eyes time to adapt to the darkness. Depending on the location, it can take your eyes up to 30 minutes to become completely adapted to the darkness of the viewing area. On the flipside, it only takes a few seconds of staring into a bright light to reverse the effects of standing in the darkness for 30 minutes. Most astronomers use red light because it’s much easier on eyes that have adapted to the darkness. You can find many flashlights that use red light, or you can purchase a lens for a light you already own. Another great tip for beginner astronomers is to practice observing distant objects using averted vision, which involves looking out of the corner of your eye. By observing objects from the corner of your eye, you’ll find it much easier to see faint objects, which might otherwise be invisible. You can find a variety of eyepieces for your telescope, and many modern scopes come with several. When we say lowest, we’re talking about the power of the eyepiece, and it’s usually the piece that is marked with the largest number. The images viewed through a low-power eyepiece will be sharper and brighter, and in most situations, you’ll get the best viewing experience from your low-power eyepieces. Once you have some experience, you can experiment with other eyepieces. The universe is full of mesmerizing wonders, but since they’re so far away, these objects are barely noticeable to the naked eye. With help from a high-quality telescope, you can unlock the finer details and observe things that most people will never see. Modern telescopes are equipped with incredible optics, and even if you can only afford a cheaper telescope, the ability to uncover and observe celestial objects is something that will never get boring.